What else can you give away to your guest ? Selfie Stick of course . 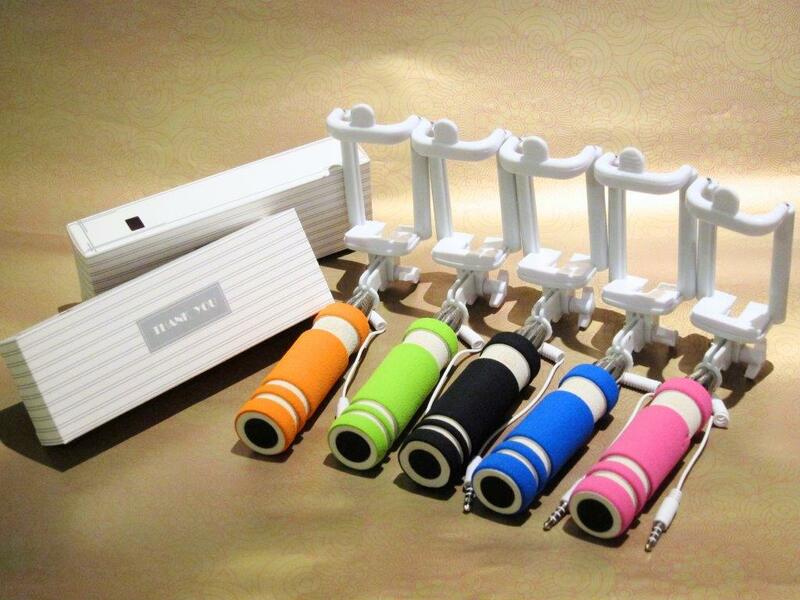 This wired selfie stick comes in various colors is the perfect gift .. your guest can use it at your wedding and click memorable pictures. Comes in a gift box ..